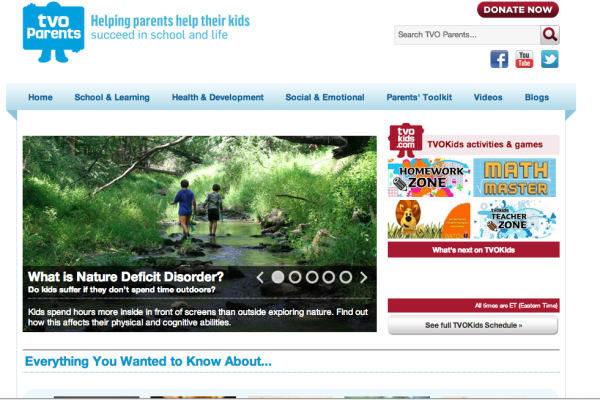 TVO faced a challenge when it came to promoting their educational children’s media: they knew that kids were learning from their videos and games having participated in numerous studies with the Ontario Institute for Studies in Education, but they didn’t have an effective way to convince parents. The on air audience of TVO was decidedly very young, and very old and didn’t include the middle ground of viewers ages 28-45. The solution: access the parents of preschoolers where they were already congregating, in online communities driven by mommy bloggers and organizations already thinking and writing about digital media and education. 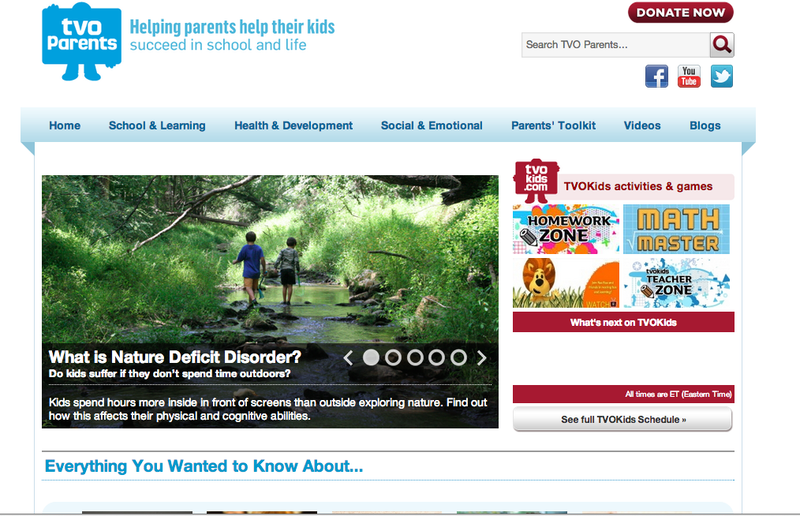 As a content marketing companion to TVOKids, TVOParents was born. During the research and development period of the platform, we worked with a panel of parent representatives of our three primary user types. We leveraged the knowledge of the panel to understand the challenges parents were facing in their preschoolers school preparedness, and their struggles to understand the difference between educational gaming and too much screen time. We consulted the panel to uncover our users’ fears and hopes for their kids, and we used the panel to ensure that our solution addressed the entire range of capabilities in our audience, from occasional online shoppers to bloggers and “techie” moms. The result was an article and video-based content marketing website which educated parents of preschool age children on the educational benefits of curriculum based digital media to help prepare their kids for school and for life. Our focus on community partnerships with organizations like People for Education and HIPPY gave us enhanced credibility as well as strong inbound links, with significant organic SEO benefits. Our user base grew in the first year to over 10 000 unique visitors per month.